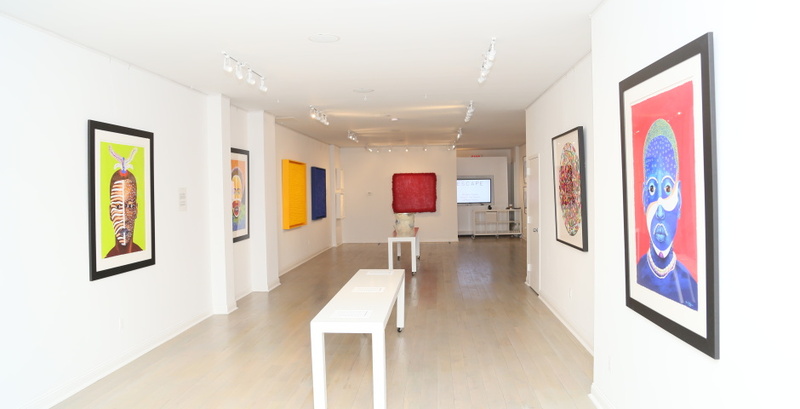 (New York—February 27, 2014) The Sol Studio celebrates human transcendence with its new “ESCAPE” art exhibition and opening reception on Friday, March 7, 2014. 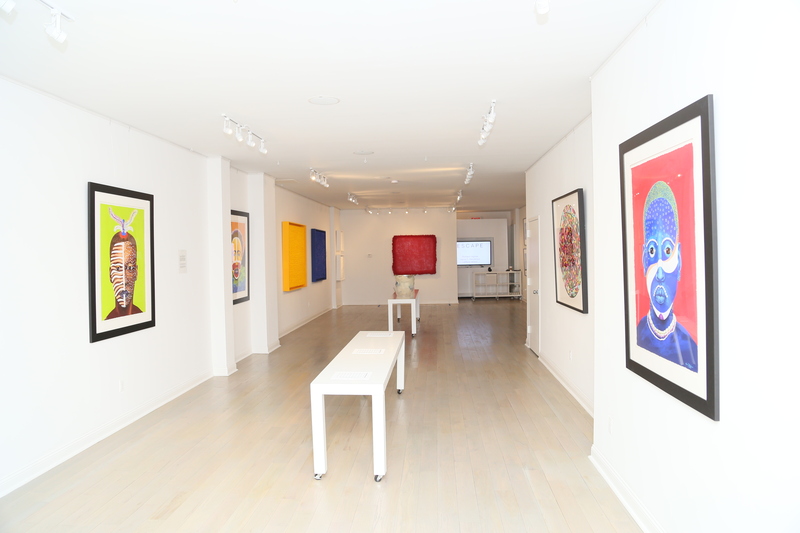 This exhibition is a visually stimulating group show highlighting physical, mythical, and spiritual modes of ESCAPE through vibrant visual and dynamic sculptural art forms by Richard Haynes, Aaron F. Henderson, and Lerone Wilson. This cohesive group show brings artists from points North and South deﬁning their common experiences inspired by the theme of the exhibit. “The new visual and sculptural work that make up the ESCAPE exhibit suggest methods of triumph for the human spirit no matter what the day to day condition,” says The Sol Studio founder, Lewis Long. “I’m very excited about the responses of the participating artists and the works being presented,” Long says. Richard Haynes, an artist and University of New Hampshire administrator raised in New York City, presents his 10 piece Underground Railroad series of crayon on paper abstracts highlighting a historical narrative of physical movement which reﬂects his own colorful and diverse life. He uses his art to educate society of the invisible people of the world and to provoke unity. Aaron F. Henderson, an Atlanta artist, has created the Mask series based on the legend of Ganga Zumbi, which occurred during the transatlantic slave trade. Ganga Zumbi was the general of Queen Nzinga’s army in Angola. He followed the queen’s orders to allow himself to be captured and enslaved as a mantra to free his fellow countrymen. Henderson will also present pieces from his Afrolantica series based on one of noted New York University law professor Derrick Bell’s science ﬁction short stories of the same title. Lerone Wilson, a New York artist, will present a series that speaks to the condition of the human spirit in its constant pursuit of a higher power that allows for freedom of faith as a guiding source and escape from ﬂeshly travails. His encaustic works, or sculpted paintings as he calls them, are a medley of textures, composition, and light that challenge the senses, as the viewer tries to reconcile it substance and his own spiritual truth. By signing all of his works IN HIS NAME and employing themes of biblical references, Wilson challenges convention and invites the viewer to join him in an escape into the realm beyond our own understanding. The public opening reception for ESCAPE will take place Friday, March 7 from 6 – 9 pm and the exhibition will run until Saturday, April 19. During New York Armory Week, beginning Tuesday, March 4, the exhibition will be available by private appointment. The gallery will host a artist panel discussion on Saturday, April 5 at noon. The Sol Studio is an artist work and exhibition space, in the heart of central Harlem, NY, located at 2073 Adam Clayton Powell Jr. Blvd (between 123rd and 124th streets). The dynamic creative spirit of the studio is ignited by the diverse urban culture of its surrounding community. As a neighbor to iconic venues, such as the legendary Apollo Theatre, Minton’s Playhouse, and The Studio Museum in Harlem, The Sol Studio celebrates the creativity of honored and emerging artists as well as engages the public with myriad creative expressions.